Book Your Airport Transportation to and from Logan Airport Today! Mr. C Car Service specialty is airport car service. Airport transfer services to and from Boston Logan Airport (BOS), T.F. Green Airport, Hanscom Field Bedford Ma, and private jet centers. Mr. C Car Service will provide you with affordable, reliable, and excellent car service. ​What is required for booking transportation to and from Logan Airport? Drivers are professional and courteous. 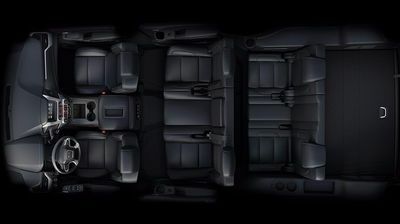 Every detail is to provide you with comfort and safety. The most important part of your travel itinerary is knowing that your driver is waiting for you. We're here to serve you and be part of your travel experience. Logan airport transfer to New Hampshire, Rhode Island, Vermont, or Maine please book in advance. Julia LACARTES review: "Mr C answered my call at 9 pm for a pickup at Boston Logan the next afternoon after I'd been let down by another car service.He was right where he said he'd be and whisked us home in his gorgeous truck. Mr C made the whole travel experience better, and I really appreciated his availability at such short notice! Thanks, C!" Be the first to know about discount & special offers! ​The information you submit will be used solely by Mr. C Car Service. ​You can Unsubscribe your consent at any time. ABOUT JAYRIDE Book airport shuttle buses, private transfers and more, online at fixed prices, with instant confirmation and a 100% refund guarantee. Copyright © 2017 Mr. C Car Service Inc.